Photo: The research team includes (back row, from left) Kent Steen, Guy Trainin and Wendy Smith; (front row, from left) Leen-Kiat Soh and Gwen Nugent. Everyone’s heard of “three R’s” of education: reading, ’riting and ’rithmetic. The phrase was coined in the 19th century to describe the subjects foundational to public schooling, and many still consider them the mainstays of education. But University of Nebraska–Lincoln researcher Leen-Kiat Soh says it’s time to add another discipline to the list: computer science. Soh is using a four-year, $2 million grant from the National Science Foundation to lead an interdisciplinary team of Nebraska researchers in developing and deploying a program aimed at helping the state’s educators effectively teach the subject to a diverse group of K-8 students. The program is called Adapt, Implement and Research (AIR@NE). But in Nebraska and many other states, there’s a lack of standardized K-12 computer science curricula and a dearth of K-12 educators equipped to teach the subject. And for those who do teach computing in Nebraska, no specialized training is required, raising questions of quality and standards. To start filling these gaps, Soh’s program focuses on the training and professional development of about 100 educators from diverse districts statewide, including majority-minority, rural and Native schools. These include the Omaha Public Schools, Omaha Nation Public Schools, Grand Island Public Schools and at least eight other rural districts. The teachers will take summer courses designed to bolster their fundamental computer science knowledge and familiarize them with a K-8 computer science curriculum launched in 2014 by the Lincoln Public Schools district. It’s resulted in 97 percent of LPS elementary students earning a proficient rating on each Computer Science Teachers Association standard, and 98 percent of LPS middle school students passing computer science courses. LPS curriculum specialist Kent Steen, a member of the research team, led development of the curriculum with input from LPS teachers, Soh and other university researchers. Now, Soh wants to export this model statewide, tailoring it to the needs of each school or district. His team will consult with school administrators to ensure teachers have the support and resources necessary to implement the curriculum. The model also includes proficiency metrics and grading rubrics, enabling educators to evaluate students consistently and make sure they’re hitting certain benchmarks. Participating teachers also will join a network linking more experienced computer science educators to novices, creating a pipeline of mentorship designed to be self-sustaining after the grant period ends. Through Google communities and regular local meetings, educators will share and exchange ideas related to the curriculum and school administration issues. 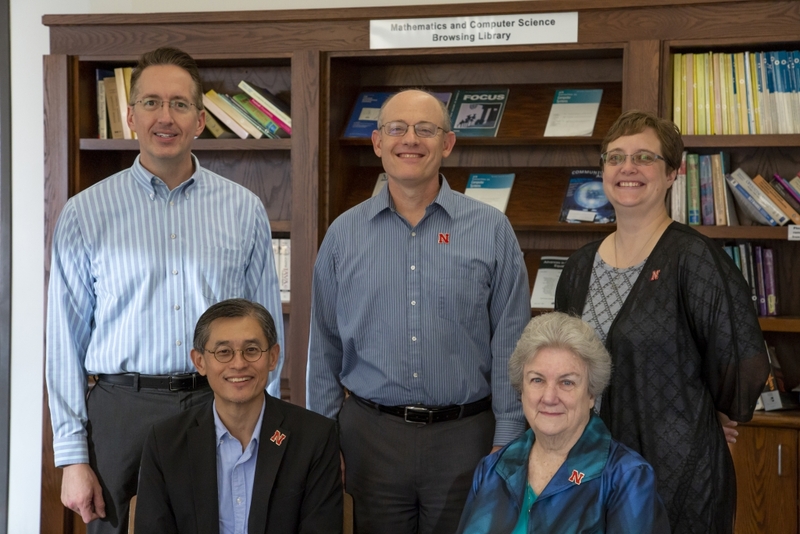 To develop a framework for the network, the researchers tapped into the expertise of the university’s Center for Science, Mathematics and Computer Education, which has extensive experience fostering the professional development of Nebraska’s K-12 teachers. On the research side, Soh’s team will study how the training program and support network affect the teachers and students, and how each district adapts the curriculum to meet its challenges. Broadening participation in computing is a core purpose of NSF’s Computer Science for All program, which funds the project. The data underscore Nebraska’s need for this: In 2017, of the more than 8,400 state high school students who took Advanced Placement exams, just 157 took the AP computer science exam. Of those, 142 were male and 107 were white. In addition to Soh, Steen and Nugent, the team includes Wendy Smith, research associate professor and associate director for the Center for Science, Mathematics and Computer Education; and Guy Trainin, Melvin C. and Jane N. Nore Professor of teaching, learning and teacher education.